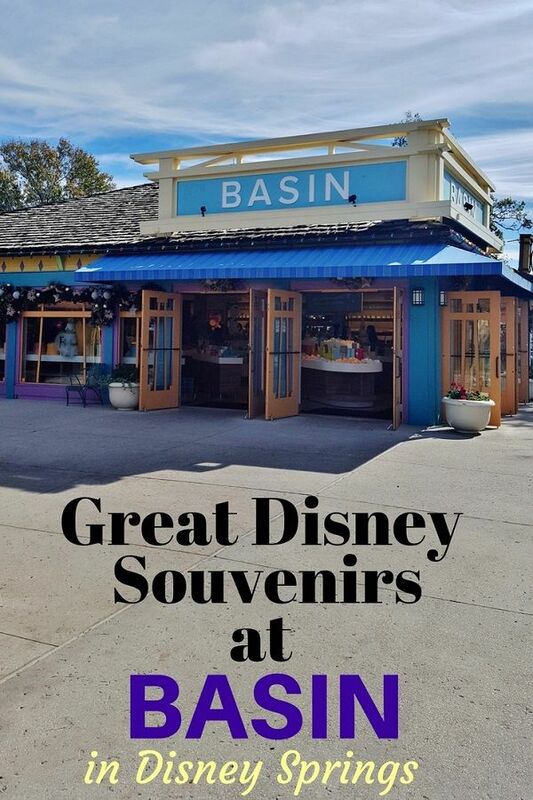 If you are planning to travel to Disney Springs, you should make a trip over to Basin. 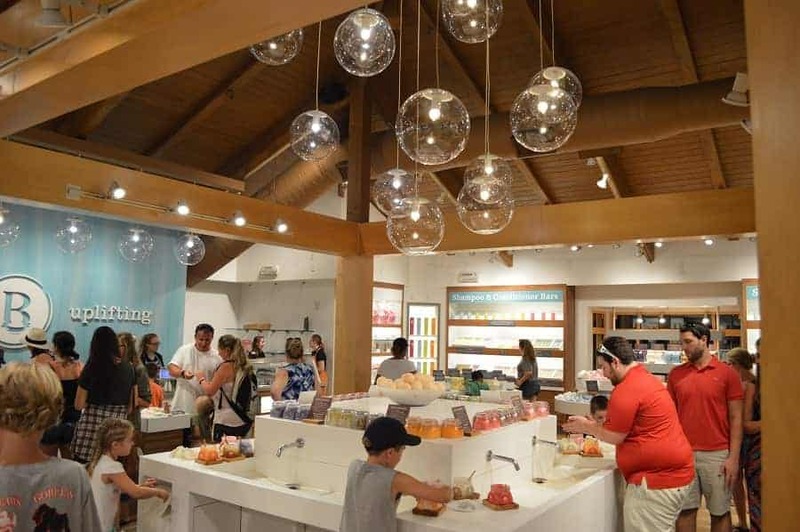 Basin in Disney Springs sells luxury bath products like bath salts, bombs, soaps and butters. While you can get many of these things in other places (and online), this is the only place where you will find them with a touch of Disney. We love finding unique Disney souvenirs; things you can’t get anywhere else but Disney. 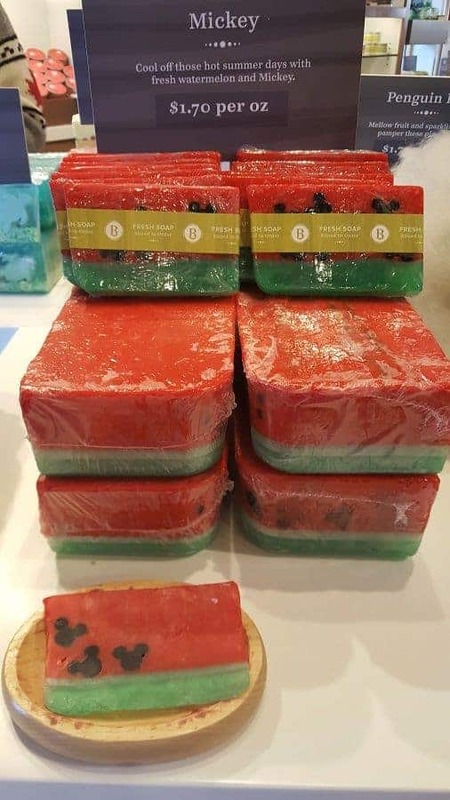 While Basin in Disney Springs has a ton of generic bath bombs and body butters, it also has a few items that make great souvenirs. For example, Basin has different Glycerin soaps that feature Mickey Mouse heads. 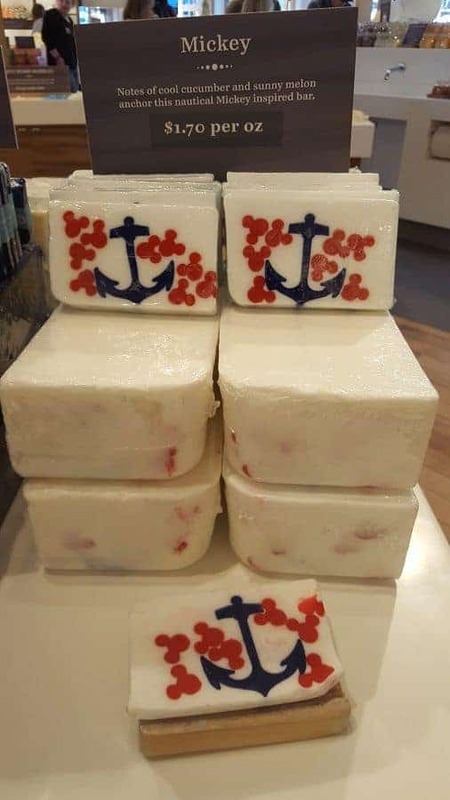 The soaps are beautiful and come in a number of different scents and designs. For just under $2 an ounce, they are very affordable. They also have a number of bath bombs that when used, fill your bath with a lovely scent and little Mickeys! 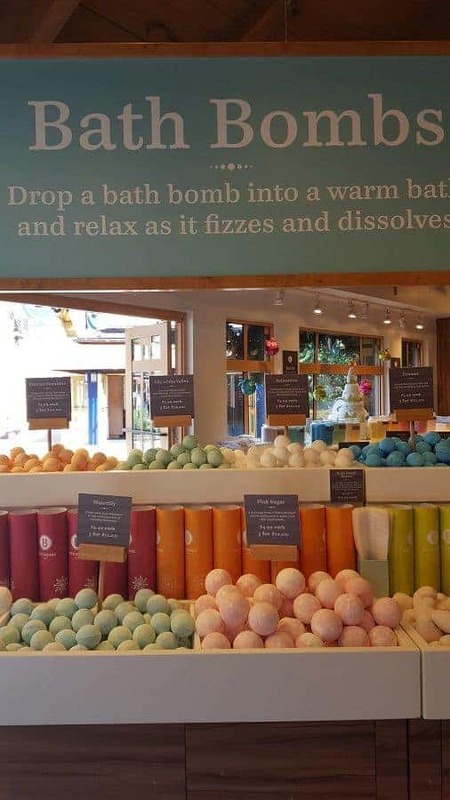 For around $20, you can fill a tube with as many bath bombs that will fit (5-6 depending on size). If you are staying at Grand Floridian (or want to make a trip from Epcot/ Magic Kingdom via the monorail), there is a location there as well (but not as vast as an assortment). Have you been to Basin in Disney Springs?